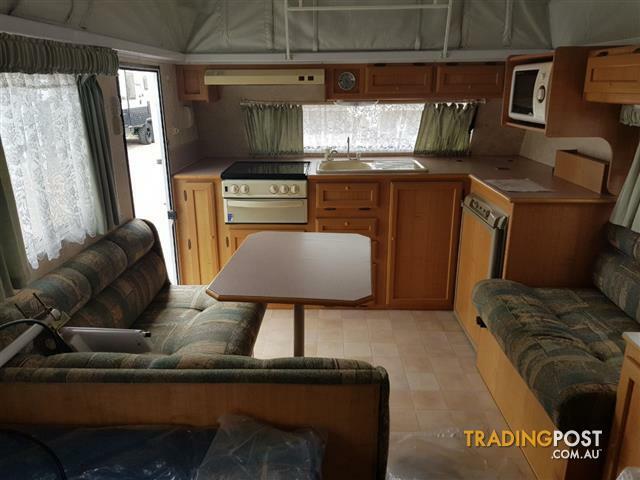 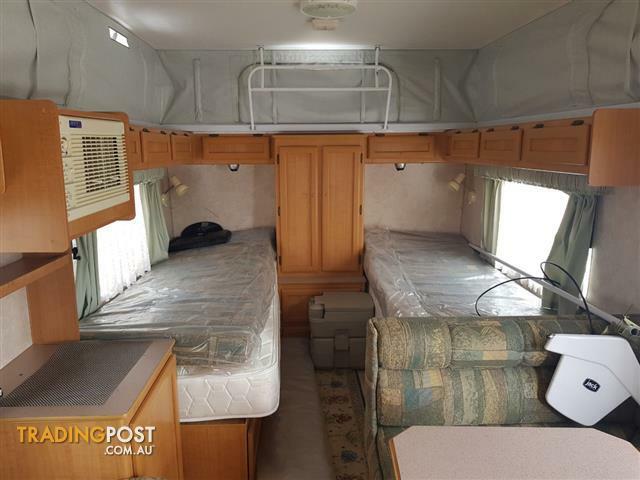 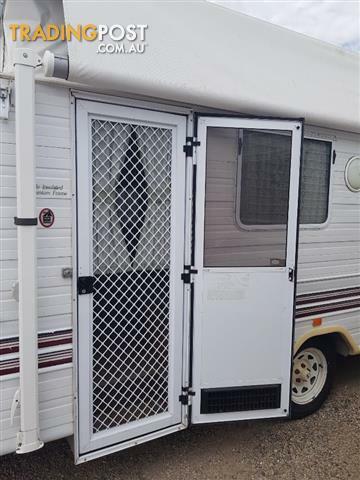 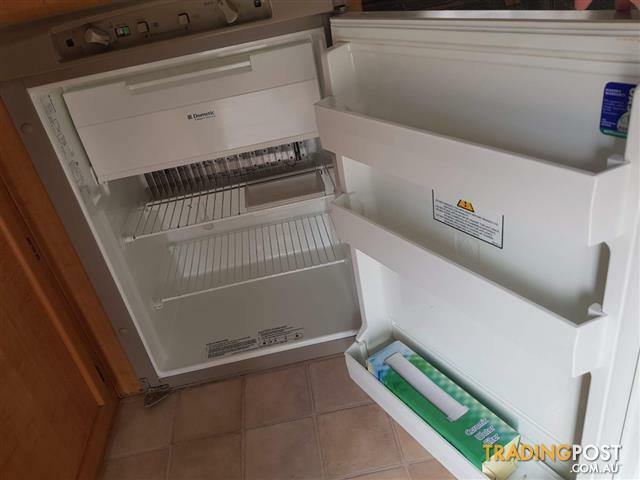 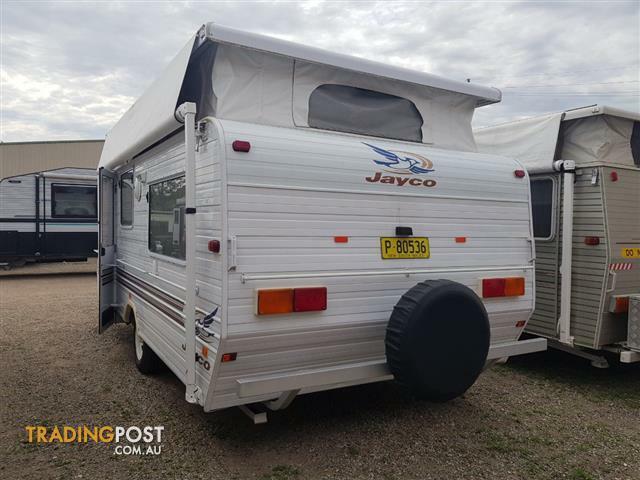 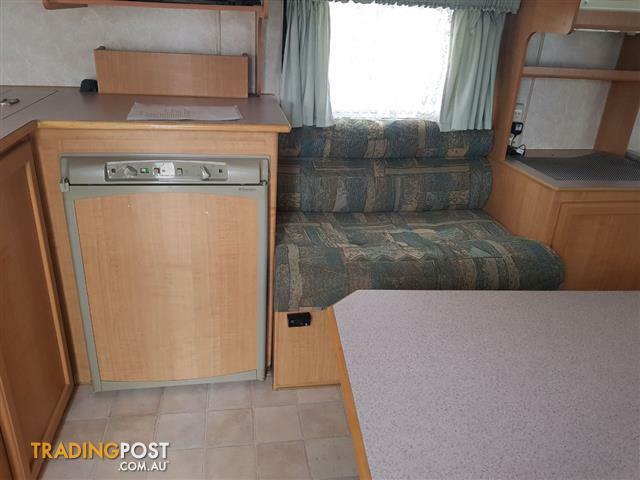 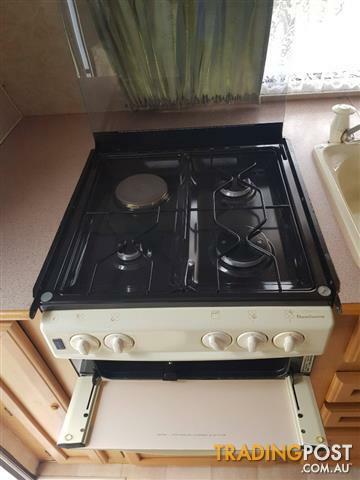 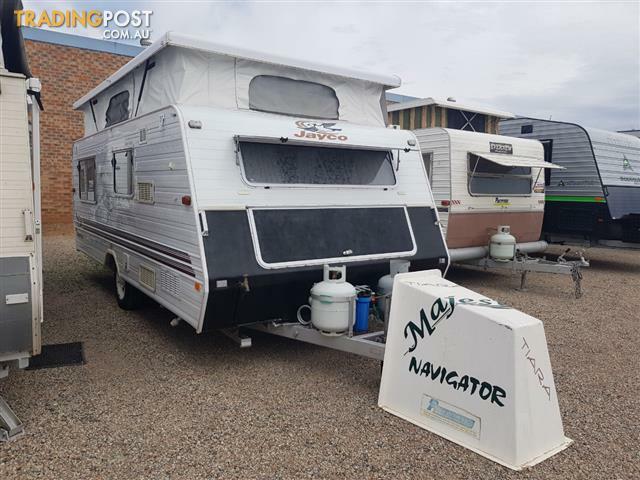 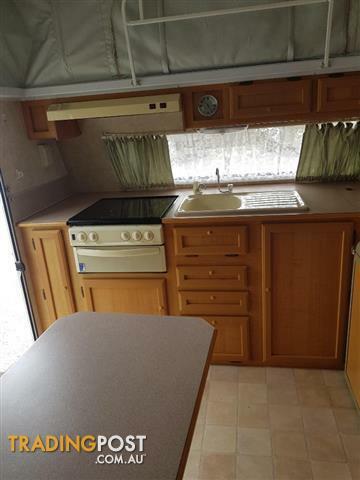 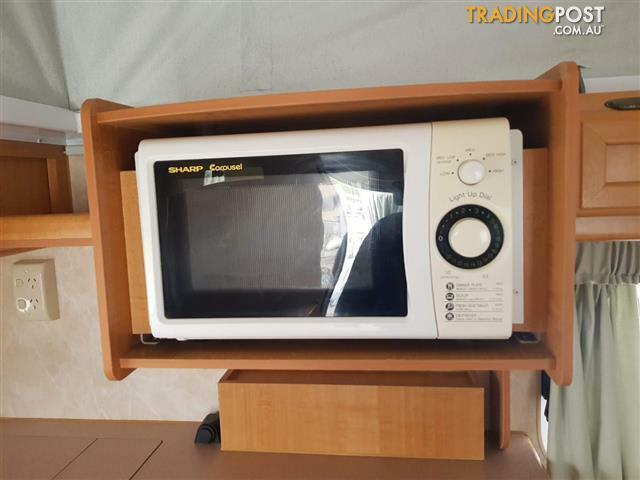 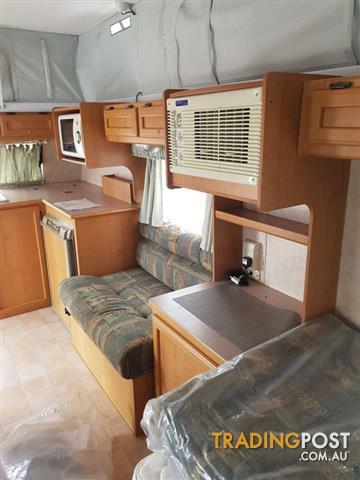 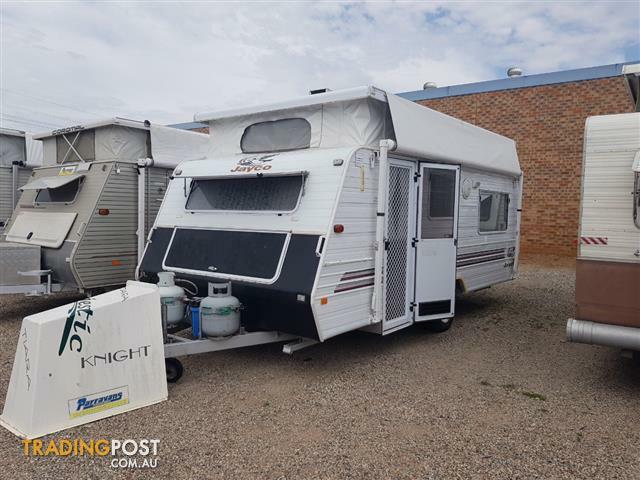 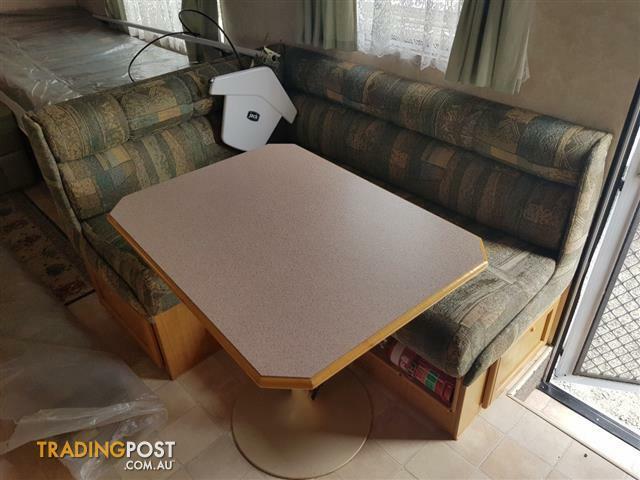 This 2003 Jayco Eagle is a 17&apos; poptop featuring rear single beds with innerspring mattresses and centre cupboard. 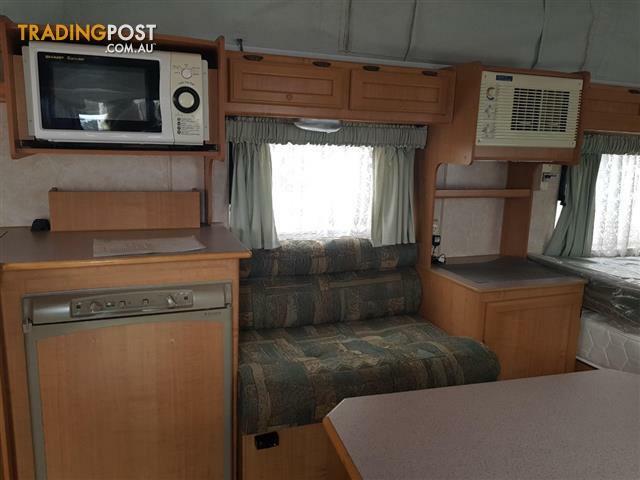 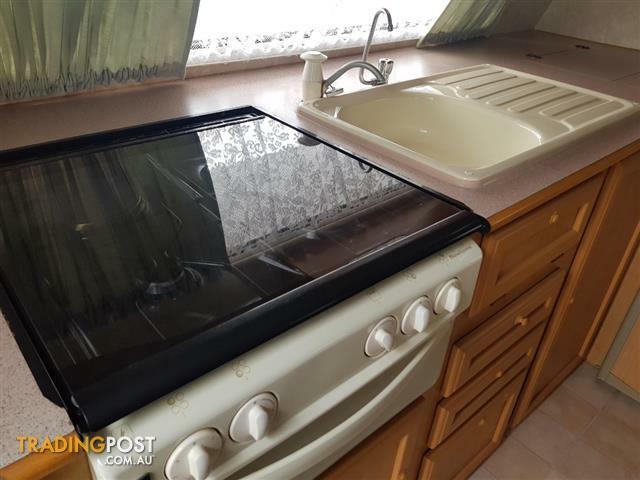 it also features a front kitchen equipped with a microwave, grill + stove + rangehood, fridge, dinette and lounge. 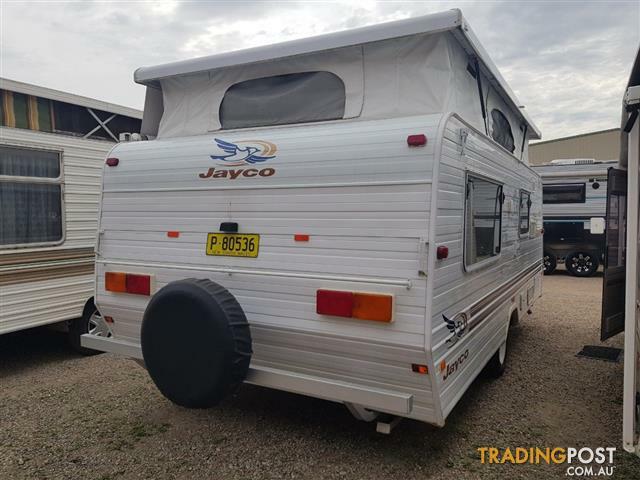 Features also include a roll out awning, air con, external and internal 12 V points, anderson plug on A-frame to suit portable solar panels (not supplied). 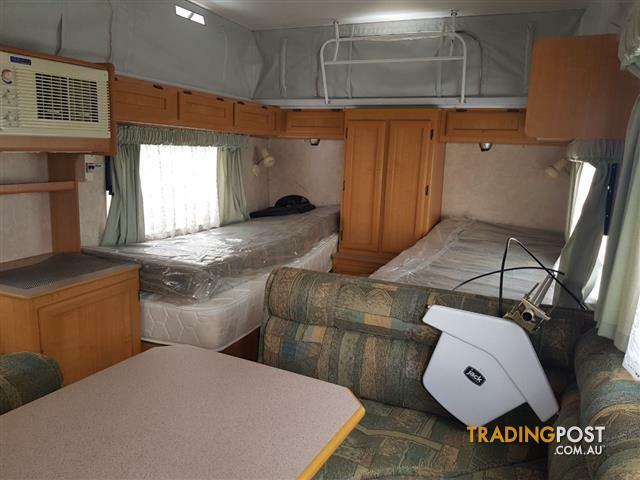 The van is it with new tyres, Water filter, LED lights, battery pack and 2 gas bottles, and has extras including a porta pottie with tent and external towel rail.